Our professional drone educational system offers state-of-art training programs to Unmanned Aircraft Systems (UAS) pilots of all skill levels and backgrounds. We offer our courses directly to the public or through colleges, universities, commercial organizations, and government organizations. Our mission is to take a multi-faceted approach to drone education by offering a blend of online training, in-person ground school classes and flight training to equip professional UAS pilots with the skills industry demands. 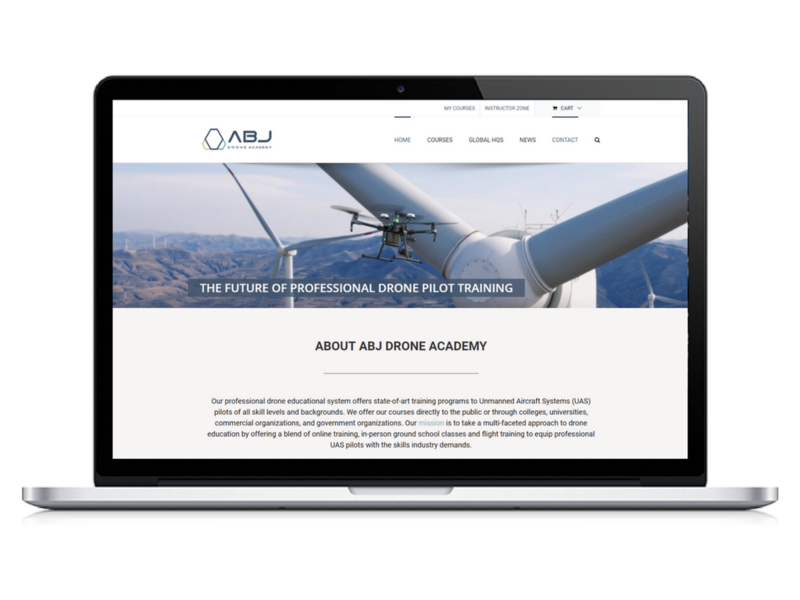 Full Website Designed to fit ABJ Drone Academy brand. SEO is currently in progress and will be updated soon.